1 Can people with diabetes eat lentils? 1.2 Can diabetics eat lentils? 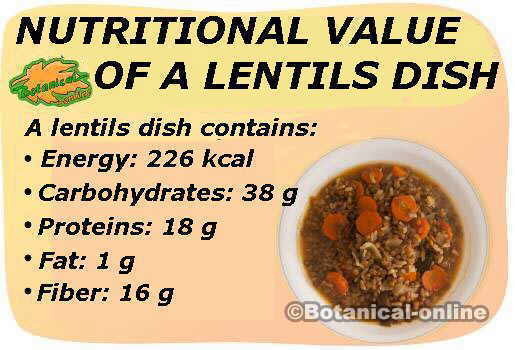 1.3 Do lentils have a lot of carbohydrates? 1.4 How many carbohydrates does a bowl of lentils contain? 1.7 Are lentils recommended for diabetes? 1.8 Why is it better to eat lentils than to eat rice? 1.10 Are all lentils dishes good for diabetics? Can people with diabetes eat lentils? Lentils are a very suitable food for diabetes since they are an excellent source of vegetarian proteins and also have a very high nutritional value. It emphasizes its contribution in B vitamins and minerals (potassium, phosphorus, magnesium and calcium, iron and zinc). Do lentils have a lot of carbohydrates? It is said that it would not be convenient for diabetics to abuse them given that their carbohydrate content is very high (55%). 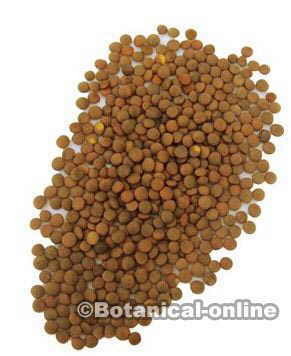 However we must bear in mind that this figure of hydrates corresponds to raw lentils, and that 100 gr. of cooked lentils only contain 20% carbohydrates (apples or pears contain 15% and bananas 23%). Anyway, if you still have mistrust towards this food, they can be mixed with other vegetables, such as spinach or artichokes, which would decrease their percentage in sugars and the addition of fiber would slow their digestion. How many carbohydrates does a bowl of lentils contain? 40 gr of carbohydrates: it is a normal quantity, not very high, since they are carbohydrates of slow assimilation. 17 gr of fiber: it is a very high amount of fiber that will help to slow down the digestion of carbohydrates. 18 gr of protein: as much as a serving of meat. And as an advantage, lentils have many more minerals than meats, which makes them highly recommended for bones. To establish a comparison, the same amount of cooked rice has 37 grams of carbohydrates, only 2 grams of fiber and 3.5 grams of protein. There is a lot of ignorance about the real effect of legumes in diabetes. There should be no doubt that lentils are very healthy foods and totally recommended for people with diabetes, as all legumes, which can be almost daily consumption. However, many false myths circulate about their sugar content. It is good to know that, according to official tables, lentils have a low glycemic index and a low glycemic load. That is, their carbohydrates are assimilated very slowly and do not produce the same postprandial glucose peaks (post-meals) than cereals and tubers do. Therefore, eating lentils will never produce hyperglycemia, unless they are combined with sugary foods, such as a chocolate desserts or similar (in which cases, hyperglycemia would not be due to lentils). This is because lentils (and other legumes, such as chickpeas) have a lot of fiber, vegetable proteins and fat (the oil with which they are usually cooked), which delay the assimilation of carbohydrates. Therefore, both lentils, and any other legume, do not raise sugar and should not be treated like rice or pasta. It is a mistake to treat lentils in the same way as a carbohydrate ration from rice or pasta, because lentils (and other legumes, such as chickpeas) have a very different glycemic response to cereals. The carbohydrates provided by lentils are assimilated very slowly, so that the peak of postprandial glycemia is lower and slower than that of cereals. That is, a bowl of lentils does not produce a high peak blood glucose after eating, as it does when eating bread, rice, potatoes or pasta. People with diabetes know that they have to modify the insulin regimen on the days they eat legumes. As normally the insulin is taken a little before eating, when lentils are eaten, it is usually recommended to prick the insulin after eating, to avoid a possible hypoglycemia. This is known as “the hypoglycemia of lentils,” and it happens because insulin acts by lowering the sugar too quickly, before the carbohydrates in the lentils are absorbed. Are lentils recommended for diabetes? Yes! People with diabetes should consume chickpeas and legumes usually in their diet (if it is almost every day, better! 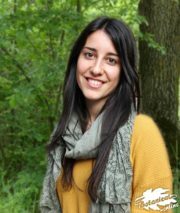 ), Because they provide many benefits and do not raise their blood sugar, allowing good control of the disease. The only precaution that is recommended is, in people who take insulin, control the sugar after eating. If you do not take insulin, there is no special recommendation (Check with your doctor and / or check your blood glucose after eating legumes). 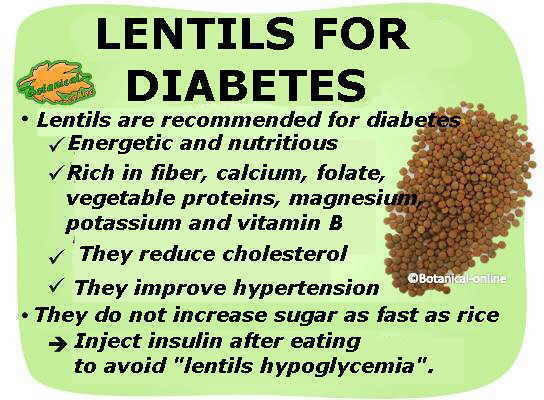 Summary of the most important ideas of lentils for diabetes: they are very healthy, but it should be borne in mind that if you take insulin hypoglycemia can occur → inject your insulin after eating to avoid what is already popularly known as “hypoglycemia of the lentils. ” If you do not take insulin, there is no important recommendation regarding medication, except for controlling the sugar. Why is it better to eat lentils than to eat rice? Legumes are much more nutritious and help control blood sugar levels better after meals than any cereal, bread or tuber. This is due to its content in vegetable fibers and proteins. In addition, they are very nutritious foods, rich in micronutrients. People with diabetes are usually recommended to eat legumes, such as almost every day or every day. Lentils, chickpeas, peas or other legumes are much more recommended for diabetics than rice or pasta. Lentils contain slow-absorbing carbohydrates and a large amount of fiber. This type of carbohydrates have the advantage of pouring glucose gradually into the bloodstream during your digestion. This is obtained by metabolizing carbohydrates. When we eat vegetables, glucose is incorporated into the blood little by little. To maintain the feeling of fullness for quite some time: they manage to keep the sugar constant in blood, avoiding the sensation of hunger. On the other hand, its contribution of fiber collaborates in its satiating effect. Keep sugar levels normal without needing much insulin: This is very interesting for people with type 2 diabetes (associated with obesity) as it will naturally help them control blood sugar levels. The consumption of this food can make them less dependent on the insulin supply. Are all lentils dishes good for diabetics? No, there are many traditional cuisines that cook lentils with abundant animal fats, such as sausages or other processed meats. It is not at all convenient to consume the lentils in that way. The healthiest thing is to consume the lentils cooked with vegetables, vegetable oils of quality and with little salt, for example, in this recipe of vegetarian lentils or lentils salad.